Olive Branch Christian School (OBCS) is a K-6 school focused on providing students with a rigorous education from a Christian worldview. 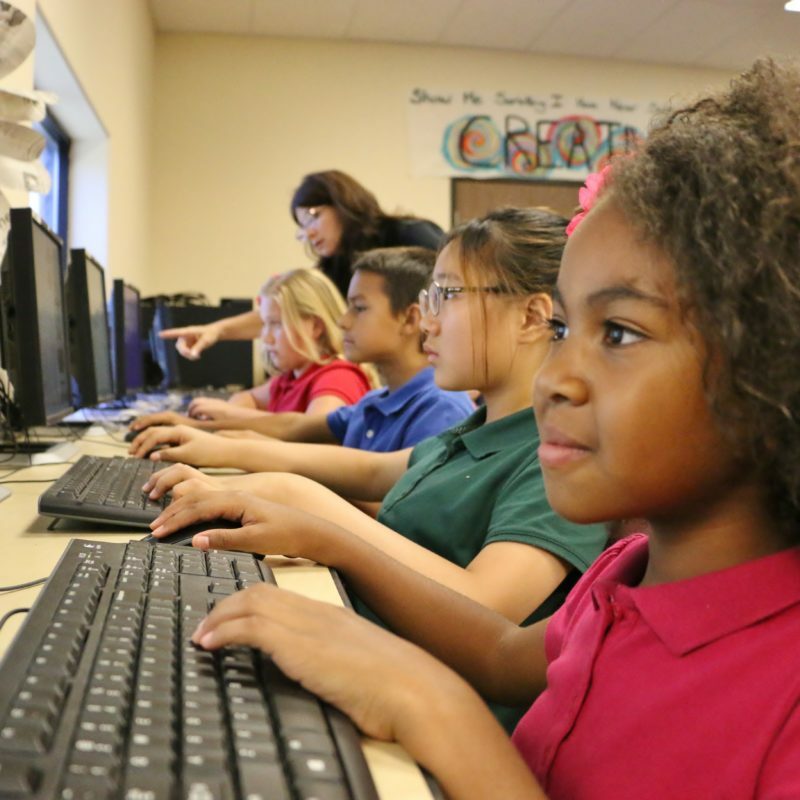 OBCS is a fully ACSI and WASC accredited K-6 academy.The structure of our curriculum is traditional with a strong emphasis on the “basics” such as mathematics, history, and language studies, including phonics, reading, writing, and grammar. In addition to a Christian worldview, students are taught the tools of learning and are trained to use these tools across all areas of academics. The goal of classical Christian education is that students enjoy mastery of the content areas and become independent lifelong learners. Olive Branch Christian School is a member of the Association of Christian Schools International (ACSI). As part of ACSI, students compete in events such as Speech Meets, Spelling Bees, Math Olympics, and Creative Writing competitions with other Christian schools. ACSI also provides ongoing training and support programs for teachers, faculty, and administrators to ensure excellence in every area of their Christian school program. Olive Branch Christian School provides a safe learning environment and personal attention for parents, teachers, and administrators to work together for the success of each student. The school’s encouraging teachers are both academically experienced and spiritually qualified, and the nurturing support staff is deeply committed and focused on each child’s individual needs. Parent or Guardian submits the completed application form for each incoming student with the registration fee. Applicants for grades K-6 are required to take an entrance exam upon receipt of the completed application. All entrance exams will be administered at OBCS by school personnel. Upon completion of Steps 1 and 2, and a review of all documentation, parents will be notified of acceptance. After notification of acceptance, students will be offered enrollment or will be wait-listed based on space, availability, and date. Registration is not guaranteed or complete until you have met with the Financial Administrator to finalize financial obligation, tuition agreement, and payment schedule. Available openings are determined following priority enrollment of current students, siblings, and Olive Branch Community Church members. Openings are limited and we encourage you to apply by March 1. Students may be admitted during the school year if openings are available. Class placement is pending available space and is not confirmed until an applicant completes the admission process and the school receives all completed registration and tuition agreement forms, along with any applicable registration fees. A non-refundable $300 registration fee must be submitted with your completed application. Students must be five (5) years old by September 1 to be considered for Kindergarten placement. Download our Application for Enrollment today!